Tennis Channel and Tennis.com are the premiere producers of original tennis content. 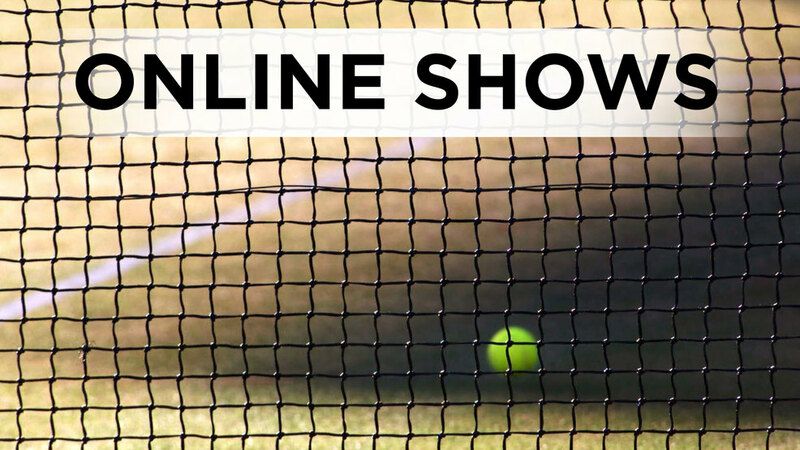 Our online shows tell stories of the people, places and drama that make up the incredible tennis world. Our features on up and comers, current champions and former legends lend insight into the fascinating personalities that rule our sport. Whether you’re an advanced or recreational player – our instructional shows provide the most current thinking in technique, nutrition and fitness. Tennis is incredibly international, and we visit and highlight the cities where tournaments take place throughout the year. We do all this while always keeping our audience up to date on the latest news from every corner of the tennis universe as it happens. There’s nowhere else in the world where so much high quality content about the sport is being made! One Minute Clinics are the premiere tennis instructional videos in the world. Hosted by premiere coaches and contemporary tennis icons, this short form series give tips to viewers to strengthen their health and performance on and off the court. Be it technique, nutrition or fitness – One Minute Clinics will help you become a healthier athlete and a better tennis player. Actor and Celebrity, Omar Miller joins the Tennis Channel family, exposing the active tennis audience, to a wide range of cultured experiences unique to major Grand Slam cities around the world, in a brand new travel series called “Advantage Omar”. "Advantage Omar" invites viewers to step off the courts and ride into an adventure in some of the most beautiful cities on Earth, exploring the unique tastes and cultures of each city and capturing the smiles and laughter of the locals. One of the premiere sportscasters in the world, Mary Carillo brings her charm and wit to the Tennis Channel feature “Mary In”. She travels the world covering tennis – and while in these great cities she uncovers hidden gems. Whether diving with sharks in Melbourne or dancing in Paris at the Moulin Rouge, Carillo makes the most of her time in every city, and brings that fun and energy to the screen. Tennis Extra covers the “can’t miss” industry events of the year, from player parties to charity and sponsor events as well as delivers light news you need to know about the sport. In Tough Call, our TC Live panelists debate the toughest questions in tennis. Is Roger Federer or Rafael Nadal the GOAT? Who would win between 2007 Serena Williams and 2017 Serena Wiliams? On court coaching – yes or no? Tennis is a competitive, one on one sport. In Tough Call our experts debate – and our viewers decide who wins. One of the most accomplished sports journalists in America, Jon Wertheim brings his unique voice and insight to his weekly feature “Unstrung”.